I don’t know about you, but winter makes me want to curl up in bed with a book and a mug of hot chocolate. However, it is still a nice time to enjoy the city, and whether you live there or are just passing by, I’d like to share a few of my favorite activities during winter. If you are visiting London, don’t forget your Oyster card! Oyster cards will give you a 50% or so discount when you take the bus or the tube, and if you are going to visit several of those places, the Oyster card will stop charging you when you reach the price of a day pass. After that, you ride for free! Usually I take the bus during weekends, there is very little traffic and I love to see the view from the double deckers. It is cheaper than the tube too. If you come from the suburbs, or nearby cities like Oxford or Portsmouth, you can get a day ticket that includes a return trip to your hometown and all ground transportation during the day within zone 1 and 2 of London. It offers great savings too. Anyway, off to the attractions! Easily accessible from Waterloo and Trafalgar Square, Porterhouse is an activity you can’t miss during winter in London. You pay a small fee to rent skates, although you can bring your own as well. I like it at night when the surrounding building gets illuminated, it looks beautiful. A few weeks before Christmas, all the big shops start competing for the best decorations. 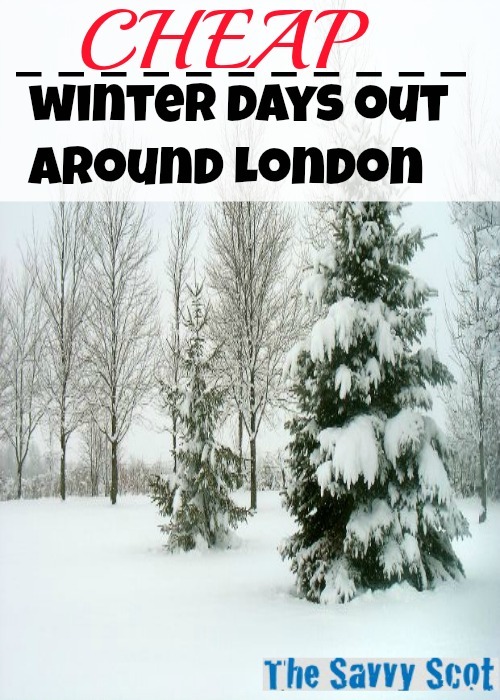 You can spend the whole day around Oxford street, checking the big names and the small stores alike. Harrod’s and Liberty are also a must see around Christmas. They have dozens of Christmas trees, all decorated differently. Pretty impressive. London has a ton of free, amazing museums. I love that they are free because you can visit for just half an hour, go out again, visit another one or come back, without being charged every time. On top of the classics like the British Museum or the National Gallery, why not check out the Imperial War Museum, which has a fantastic collection of planes, as well as an exhibition about children during the war that will be of interest to the whole family. 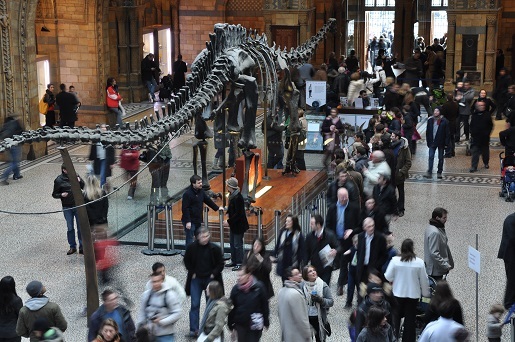 Another great option is the Museum of Natural History, and its recent egg shaped Darwin Centre next door, an interactive exhibition about evolution. Kew Gardens are amazing, even in winter. 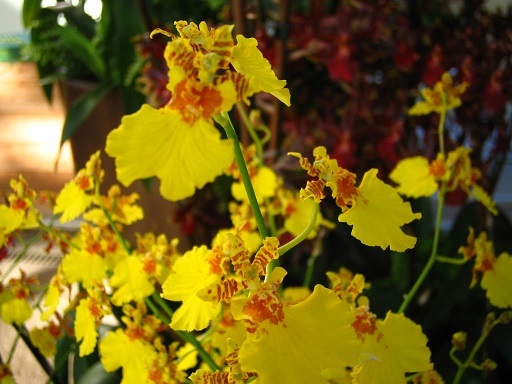 The orchid garden and other greenhouses are warm and humid, transporting you straight to the tropics. If you get there by train, you can get 2 for 1 deals on the entrance fee. You just need to pick up a 2 for 1 leaflet at the train station or print it online and show your train tickets together with that filled voucher at the entrance. The flower market stays open during winter, it gets smaller though, with fewer vendors, but it is an invigorating walk and after that there are a lot of little cafés nearby where you can have a hot cuppa or enjoy a brunch. What else do you do for fun in winter? That first photo makes me want to visit London! Someday…!